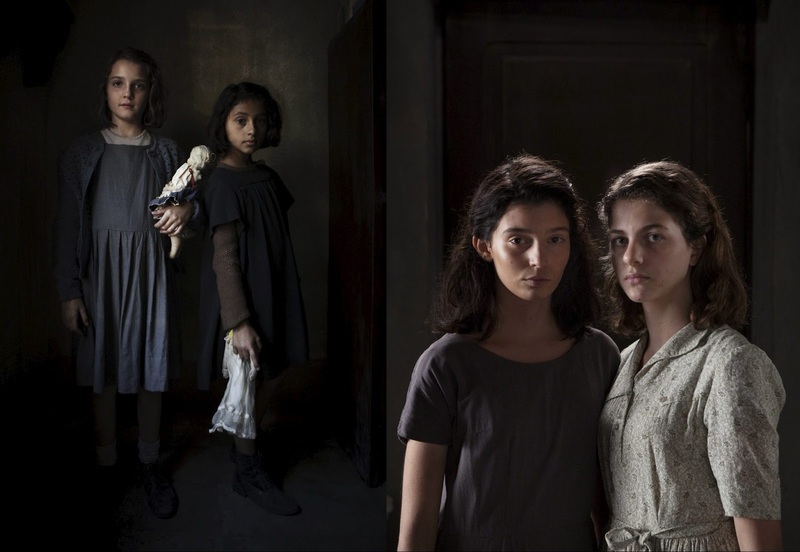 When I tuned into episode 3, it was with regret that I would not see the two young actors playing Elena and Lila as young girls. I am happy to report that the actors playing the teenage Elena and Lila are every bit as good. Titled “Metamorphoses” the episode depicts Elena’s discomfort with her changing body: the trauma of discovering that she is bleeding and having no idea what is happening, her emerging breasts which are drawing attention from boys in the neighborhood and the adolescent acne which torments her. Lila’s physical transition to young womanhood is much easier—no acne, no traumatic onset of menstruation. Elena thought that Lila was still ahead of her in everything, “as if she were going to a secret school.” Elena’s complicated feeling about her friend and rival do not fully emerge in the film—in part due to the difficulties of finding visual equivalents for complicated, conflicting emotions and also perhaps because the director did not want to delve too deeply into the dark side of Elena. In the book Ferrante writes that Elena admitted that in some hidden part of herself she looked forward to attending a school where Lila would never enter, where without competition from Lila she would be the best student, and that she might sometimes tell Lila about her experiences, boasting about her success. What makes Elena such a fascinating character is that she can present one face to the world, the impression of a “good girl,” while often seething with resentment and jealousy that she cannot fully acknowledge. Maestra Oliviero, deeply disappointed that her star pupil Lila cannot continue her schooling, turns to Elena who now becomes her protégé. Elena is grateful to her but along with the encouragement, Oliviera also transmits her class prejudices, telling Elena to forget Lila and think only of herself and avoid any contact with boys like Pasquale Peluso--a construction worker, unlikely to ever go farther than that, and whose father was a communist. The young men who posed a real threat to the girls in the neighborhood were not boys like Pasquale but the sons of the neighborhood organized crime boss, Marcello and Michele Solara who drove around the neighborhood trying to force young girls into their new car. Lila responds with anger and a growing feminist consciousness to the Solaras, a fury culminating in threatening Marcello with a knife if he ever again tries to drag Elena into his car. The conclusion of this scene takes advantage of the resources of film. Elena notes that, when Marcello recovered her bracelet that had broken when she pulled away from him, he looked not at her but at Lila, suggesting his interest in Lila: ”It was to her that he said, ‘I’m sorry.’” In the film we see the play of complicated emotions as Marcello stares at Lila holding a knife to his throat: fear, fascination, sexual attraction. The soundtrack reinforces the sense that we are looking at a man who is beginning to fall in love. I’ve become accustomed to the soundtrack, which I found too melodramatic in the first episode; now it seems for the most part to hit all the right notes.